My very favorite animals to draw are sheep. 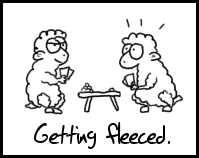 When drawing sheep, always remember...and never forget...all sheep must have googly eyes, as we shall see below. Here we have a funny little yellow sheep with a pink face, standing out in a field of dandelions on a bright and sunny day. Note the googly eyes. 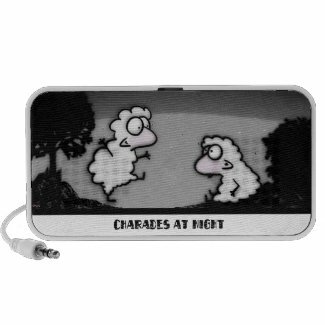 Below we have two cute cartoon sheep playing a game of charades at night. Googly eyes will give your sheep good night vision. 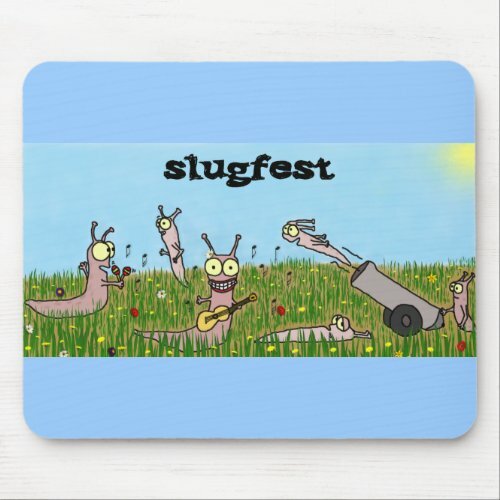 Create custom computer speakers on Zazzle. And making his first public appearance, this is Coco. 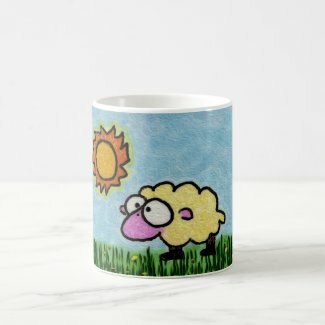 A cute little brown cartoon sheep with a pink face, standing out in a field of grass, his little stick arms outstretched waiting for a big warm and woolly hug. Coco's googly eyes are due to severe mental health issues. He is unable to blink.